Parking Facilities for two and four wheelers. 20 Room Guest House for devotees - For Details please phone 0821 2590180. Primary Health Care Unit at Chamundi Hills. Ladu Prasadam available beside the Temple. Drinking Water for devotees atop Chamundi Hills. Homa, Abhisheka, Utsava - Sevas to Divine Mother may please be intimated two days earlier. Donations, M. O or A/c Payee, DD or Cheque etc please be send to the Executive Officer, Sri Chamundeshwari Temple and obtain Receipts. Dasoha (free meals) is arranged for devotees everyday from the temple administration. Seva for Rs. 1,50,000 deposited as a Fixed Deposit towards Anna Dasoha (Shashwatha seva) One day in a year. 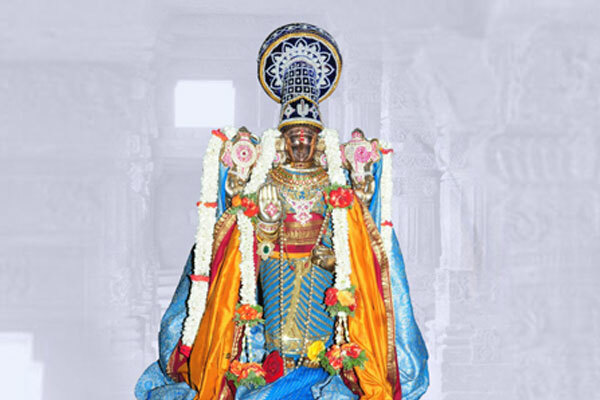 Devotee will have a Sankalpa Seva, Special Darshan, Abhisheka and Prasada in the form of Shesta Vastra. Seva for Rs. 15,000 per day for Dasoha Seva in the name of devotee will have a Sankalpa Seva, Special Darshan, Abhisheka and Prasada in the form of Shesta Vastra. Contribution of Seva of Sarees to Goddess Chamundeshwari can be booked one month in advance. For more details please call +91 0821 259 0027 +91 0821 259 0127, Fax 0821-2590082. Donations and contributions in large scale towards dasoha is requested from the devotees. KSRTC Bus Facilities are available every 30 minutes from City Bus Stand to Chamundi Hill.